New York: Viking Press, 1957. Hardcover. Fine/very good. Third printing. 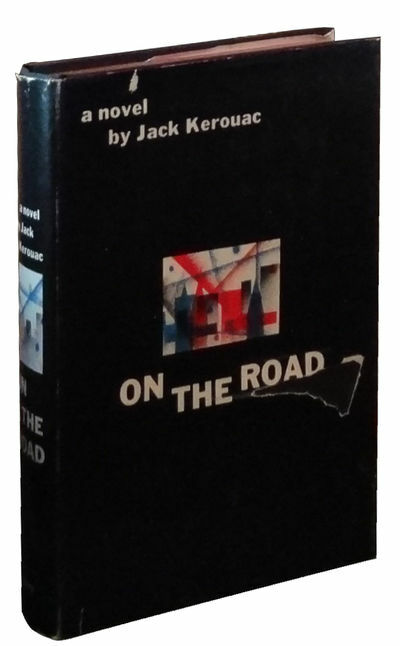 Fine in a very good jacket, unclipped ($3.95), minimally toned, lightly rubbed at the edges, a gouge missing from underneath the word "Road" on the front panel. Black cloth with the white lettering on the spine and front board. Square and firmly bound with a red top stain, former owner's meticulous information on the upper right-hand corner of the front endpaper: name, date purchased, place purchased, price paid, and inventory number. A seemingly unread copy of Kerouac's masterpiece and a seminal work of Beat literature.